Paragliding is an extreme sport that combines elements of hang-gliding and parachute jumping. 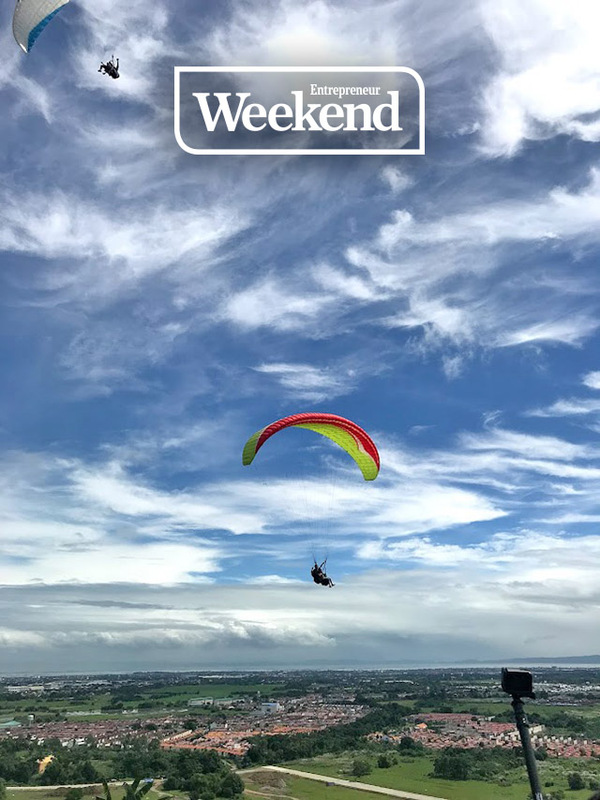 Enthusiasts jump off a stationary base, usually a cliff or mountain, strapped onto a fabric “wing” with no motor or machine and use wind power to “fly” through the air. Although paragliding has been around since the late 1970s, the sport only reached the Philippines in the last decade or so. Rumi Sayeed, co-founder and director of Paragliding Philippines Inc., which runs a paragliding operation in Carmona, Cavite, says there were only “two or three pilots” when he and his group started flying there nine years ago. In 2014, Sayeed and his friends decided to legitimize and professionalize the sport. They coordinated with the Civil Aviation Authority of the Philippines (CAAP) and the local government of Cavite to apply for the necessary permits. They also developed a proper system of education and training courses. Although they were mostly foreigners when they started out, they hoped to be able to attract more Filipinos to get into the sport. It was when the group had grown to about 26 pilots that Sayeed and his co-directors asked themselves if it was possible to commercialize the operation to ensure its sustainability. They then started offering tandem paragliding, or selling rides to a passenger strapped in with a pilot. A 15 to 20-minute flight costs from Php3,500 to Php4,000, which includes photos and a GoPro video of the experience, transportation from the pick-up point to the jump-off point, and even a designer t-shirt. Sayeed says the price is in line with international rates, which go for around $50 to $60. It started out slow, but soon, daredevils started coming to try it for themselves. “Last year for the whole season, which is around seven or eight months, we did 1,500 tandem flights here in Carmona,” he says. 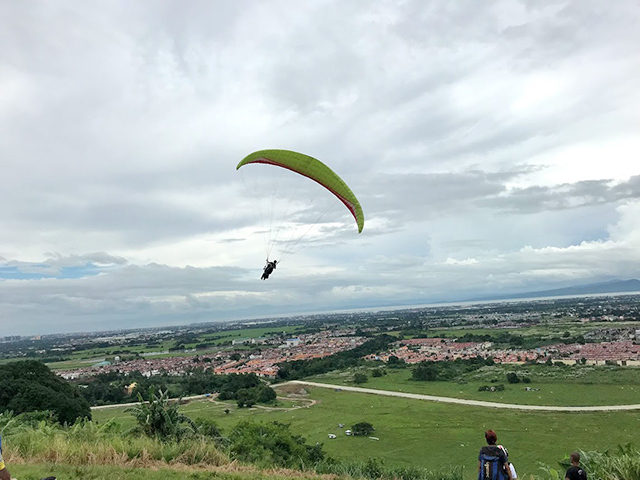 Paragliding has become such a tourist draw for the province of Cavite that officials have relayed their gratitude to the group for helping attract more visitors to the province. Paragliding Philippines also offers a full course for those serious about becoming a paragliding pilot. It lasts a maximum of 10 days and costs about Php35,000. Today, Sayeed says Paragliding Philippines has over 60 pilots, which is a mix of both men and women. 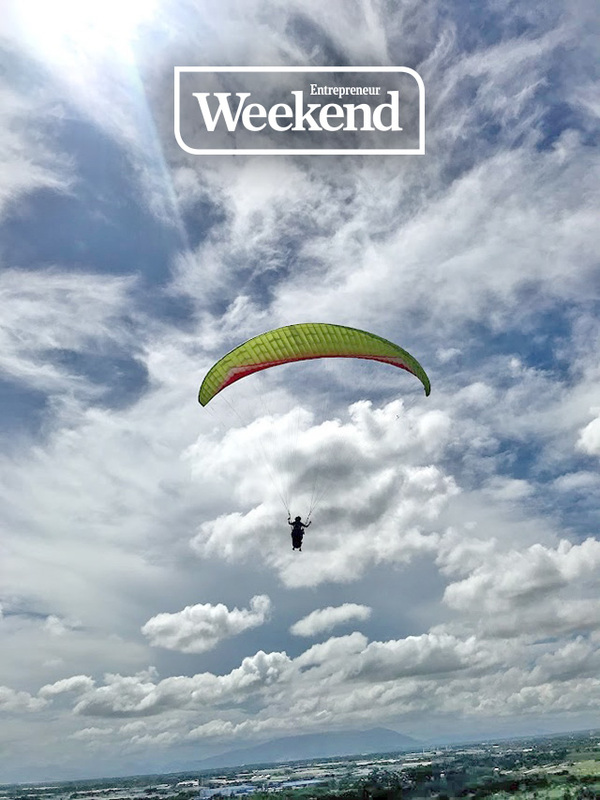 There are now also four other paragliding sites and communities in other areas of the Philippines— Maasim in Saranggani, Polomolok in South Cotabato, Cagayan De Oro City in Northern Mindanao and Binangonan in Rizal. Overall he says there are over 100 certified paragliding pilots in the country today. Sayeed says Paragliding Philippines also has a scholarship and advocacy program of giving free lessons to five deserving underprivileged young people every year. It’s a way for the group to give back and help promote the sport even more.